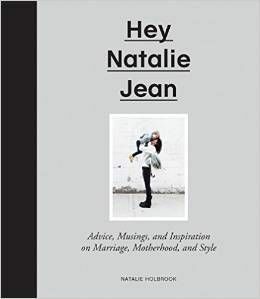 HEY NATALIE JEAN: SOCKS AND . . . HAPPY WEEKEND! 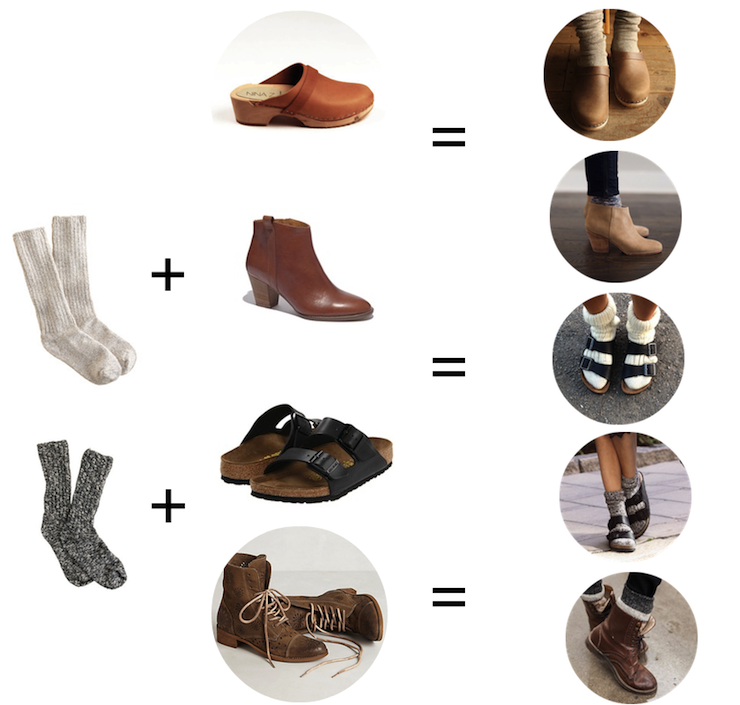 i'm really into wool socks right now, especially with sandals and clogs and all the things that aren't necessarily wool sock appropriate (ahem, birkenstocks). i bought camp socks at j.crew last winter (clarification: i got brandon camp socks at j.crew last winter and i've been borrowing them ever since), but they're cheaper on amazon. so there's that. semi related: this weekend marks the beginning of birthday season. hooray! as well as the end, i hope, of a very crazy busy period in my life. here's to lightening the load! seriously, i need a nap. a group of actors are performing shakespeare in its original british accent. this whole thing made me so giddy. linguistics is such a turn on. delia ephron wrote this, and it is so ephron-y that by the second sentence i was like, wait is this an ephron essay? and then when it turned out to be an ephron essay i was equally embarrassed and impressed with myself for noticing. and this article about the change in nyc culture in new york magazine. i love how she describes "having it all." i waver all the time b/t wanting a high-powered career, making a name for myself, and making a splash in the world vs leaving work at 5 to spend my evening reading and staying within my tiny little pond. luckily for me, having it all can mean a million different things. I accidentally bought the romper overalls. Accidentally. Also, I love your ramble on Birkenstocks. I've been wearing them for such a long time; however, I have pretty big feet for my size. Long and flat. At least you have smaller feet. But it still doesn't stop me from wearing them all the time! This is so great! And helpful! Looks like I need to get myself a pair of Birkenstocks! I kinda like the clogs and socks idea. I am usually against socks in open shoes but the clogs make it okay. I'm surprised and amazed. Hi! This comment has nothing to do with the socks BUT I DO LOVE THE SOCKS AND BOOTIES! But I just recently noticed the name change ( I feel really slow now!). I just read the about part about why you changed it. I'm sorry you hated that name, I kind of loved it because it rhymed but yay to natalie jean! Ever since I updated your blog on my feed, it doesn't update until like 12 hours after you post! Any idea why? I have to come looking to get my daily Holbrook fix ;). Happy weekend! Talking about both Birkenstocks and overalls makes me slightly confused at what year it is right now. That said, I dare you to come up with one trend the Holbrooks can't pull off. I never comment, though I always read your posts and LOVE you, but I watched that Shakespeare clip and though I am no Shakespeare scholar (just a sucker for British accents) I think I am in love with original Shakespearean speech! They sounded like pirates! That was fantastic. Thanks for sharing -- I may watch it again and again! no to socks and sandals. no matter how comfortable or warm. I am with the clogs though. Today, we're posting our 100th post! Thank you, Natalie, for inspiring us and proving that it's possible to do exactly what you want in life and even make a living off it! Bleargh, accidentally searched "camo socks" on Amazon and got a lot of horrifying camo lingerie for ladies and gents. Ahhhh... but glad it's fall clog weather so I can get back to obsessing over Hasbeens Slip Ins. I love when people share quotes, and I particularly love that Shakespeare link (because I AM a Shakespeare scholar, and he is just my very favorite ever). Thanks! Also, I am a huge fan of socks and just about everything, but I don't know why. They're just so cozy and perfect for autumn. Also, yesterday was the start of 'birthday season' in my family, aka the 2 weeks in which all my siblings (me included) were born. I think autumn birthdays are definitely the best birthdays, right? Oh, socks and sweaters are the best parts of fall. That Shakespeare video is so great! I watched it twice last week and totally geeked out. You have good taste! These are dangerous for me, whenever you post them I feel the need to go out and spend all my money! Your style tips are spot on, always. That NY Mag article made me laugh really hard. You know about Darn Tough socks? They're like Smart Wool, but better, because they have a lifetime guarantee! I loved the Ephron essay! Thanks for sharing. those socks are WAY cheaper at costco...same brand, colors, everything. like a 3 pack for $12. they sell men's and women's sizes.